SEOUL, Jul. 13 (Korea Bizwire) — SK Telecom revealed yesterday that it had developed two systems for Hyundai Motor’s Ulsan factory, allowing the facility to be more efficient with its energy consumption. One is a combined heat and power system and the other, a factor energy management solution. The combined heat and power system will replace the current diesel emergency power generator, supplying the factory with the electricity and steam it needs by utilizing a turbine that burns liquified natural gas. The new factory energy management solution based on information and communications technology will enable the entire power generating process to operate automatically without human input. Both SK Telecom and Hyundai Motor expect the new system to create 1 million kWh of electricity, which is equivalent to 2 billion won worth of energy when converted into monetary value. 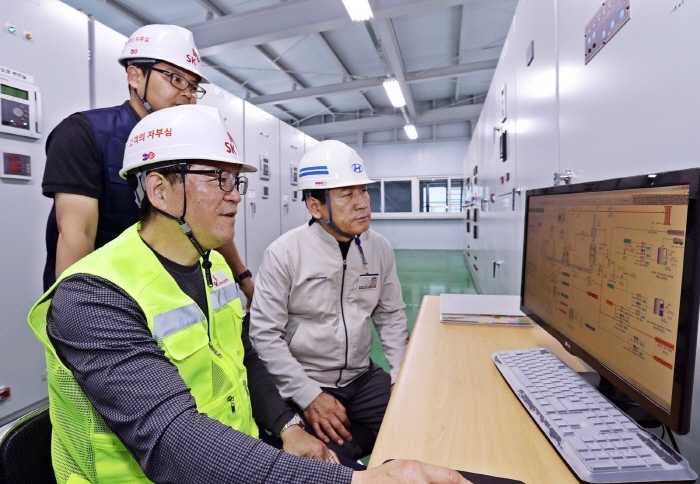 In addition, the new system will allow for more efficient management of the energy generator, allowing Hyundai Motor to save approximately 5 billion won in future costs that would have been spent on replacing aging generators. SK Telecom also stated that the new system and solution will help improve air quality conditions, as it will contribute to a reduction in carbon dioxide emissions. And by requiring less electricity to run the plant as a whole, the new system will benefit the entire nation as authorities will be able to better control the national supply and demand of electricity. Hyundai’s Ulsan factory is the largest manufacturing production facility in the nation, churning out 6,000 vehicles a day on average. The factory covers an area of approximately 5 million square meters, which is 2.5 times the size of Yeouido. SK Telecom’s Kim Seong-han, the chief of the “Smart City Unit” division, said that the project will help save costs by using IoT in addition to cutting down on greenhouse gas emissions.